In Very Good Condition! Owner Operator NOT a Rental Item! The Canon e-HDxs HJ21ex7.5B-IRSE-A is a 21x 2/3" telephoto lens built to offer high performance in HDTV news gathering. 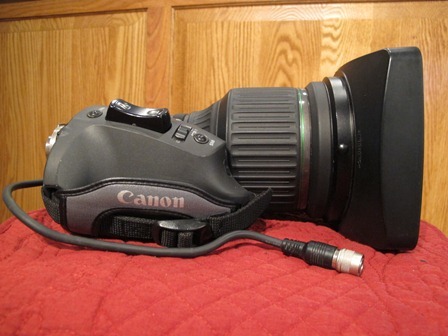 The lens is lightweight and can be relied upon under harsh conditions. 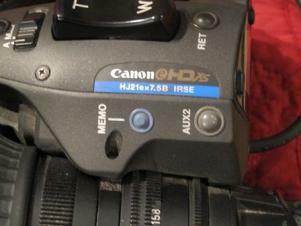 Additionally, it's equipped with features such as internal focus and shuttle-shot programmable positioning. The focal-length range is 7.5-158mm with a minimum object distance of 2.8' (0.9 m). 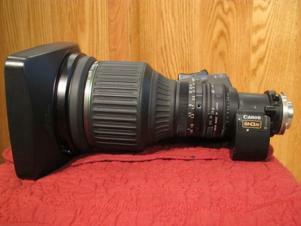 This lens has a 2x extender for doubling focal length. High Definition Ready Many high definition cameras are hamstrung by insufficient optics. Electronic Field Production (EFP) lenses traditionally have been built to accommodate standard definition. 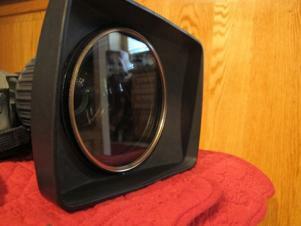 This lens is designed specifically with high definition in mind. The optics increase fidelity, making sure HD footage is crystal clear. Improved Image Quality The lens element design greatly reduces aberrations and image distortions. These advances contribute to more balanced imaging from center to edge throughout the aperture range.